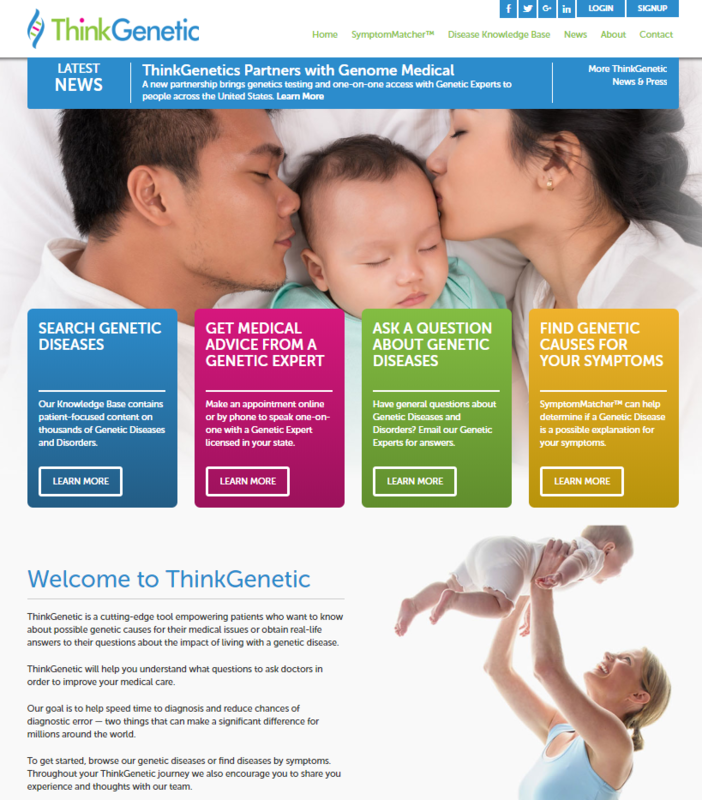 In an influential move for the genetics community, ThinkGenetic (ThinkGenetic.com) and Genome Medical (GenomeMedical.com), a nationwide specialty medical practice that is focused on genetics and genomics, have signed an agreement in support of those struggling to find a diagnosis or care for their genetic condition. The agreement expands upon the ThinkGenetic mission to provide trustworthy information to users and guide them to the help they need, faster. 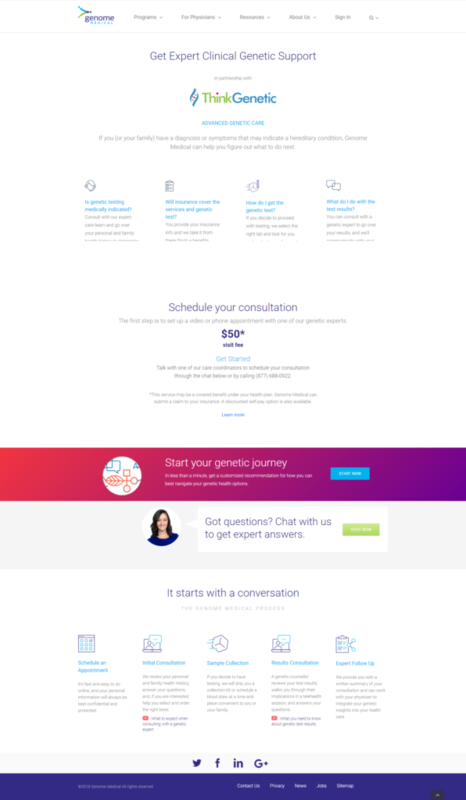 ThinkGenetic continues to work with genetic counselors to enrich the trustworthy online knowledgebase used by those searching the web for the underlying causes of their health concerns. This past January, ThinkGenetic expanded its services with the release of the first online edition of ThinkGenetic SymptomMatcherTM. The personalized AI application guides users to find potential root causes for symptoms and provides actionable next steps. 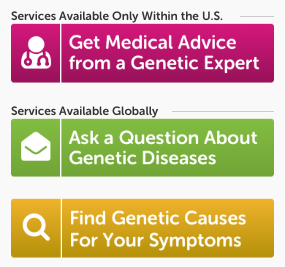 With the addition of Genome Medical, ThinkGenetic now has the ability to directly connect users in the United States with personalized clinical genetic counseling and testing services. 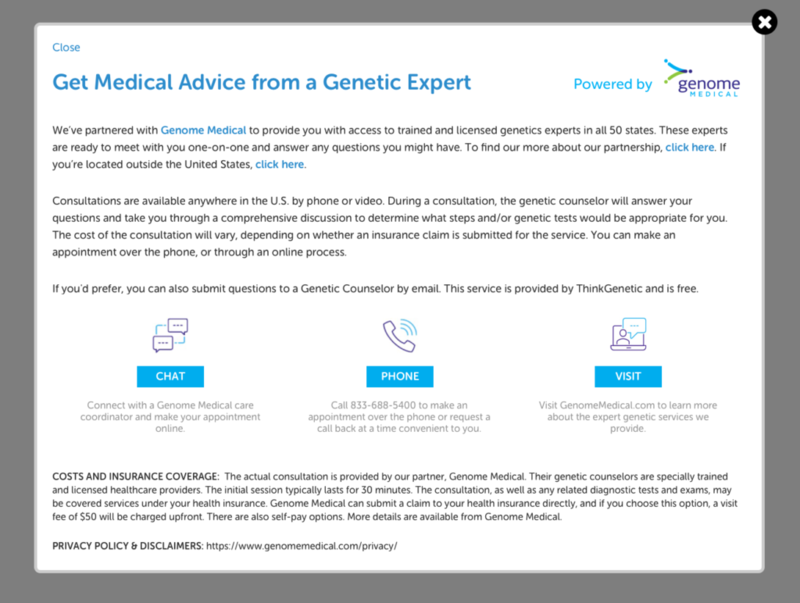 During the process of utilizing ThinkGenetic’s free services, such as exploring the condition knowledge base, using SymptomMatcher or contacting a ThinkGenetic Counselor, users will now have the ability to continue their digital experience with Genome Medical, a HIPAA-compliant telehealth service. 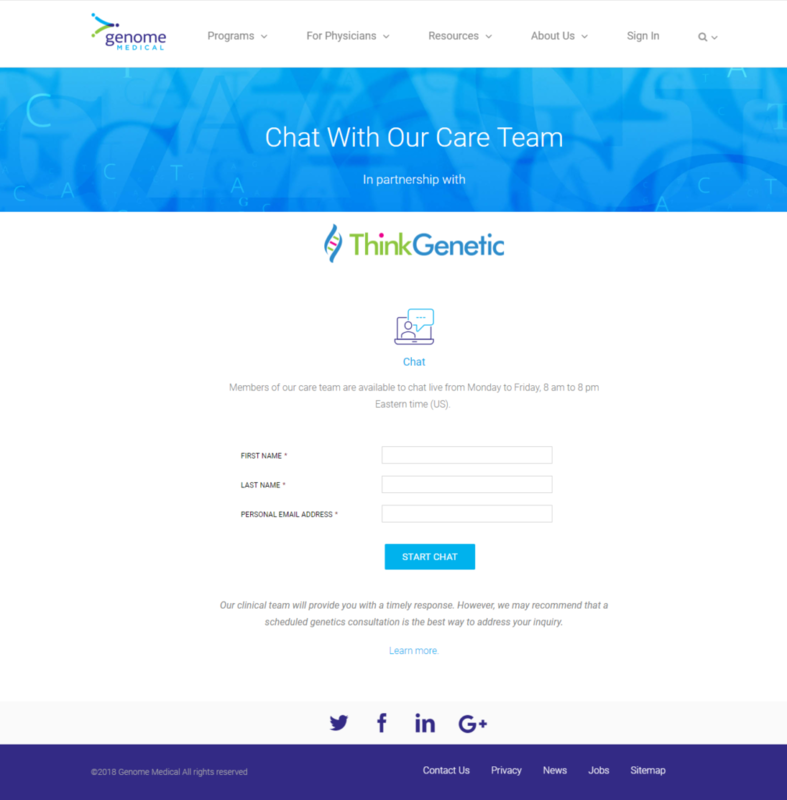 On the ThinkGenetic site, users will have the expanded options to chat immediately with a care coordinator, schedule an appointment with a genetic expert, and learn more about potential testing services. The integrated services by Genomic Medical will include pre- and post-test counseling, test requisition, development of clinical action plans based on test results, and peer-to-peer consultations. Genome Medical has a comprehensive care team featuring top genetic experts and primary care MDs—all dedicated to helping accelerate the integration of genetics into everyday health care. Their mission ties in closely with ThinkGenetic and will prove to be an integral part of providing a straightforward way for patients to find answers and the care they need. In addition to this powerful start, ThinkGenetic and Genome Medical will have many other collaborations coming soon including educational events, genetic condition online communities, and much more. To learn more about these changes and what are ahead we encourage you to sign up for email updates. 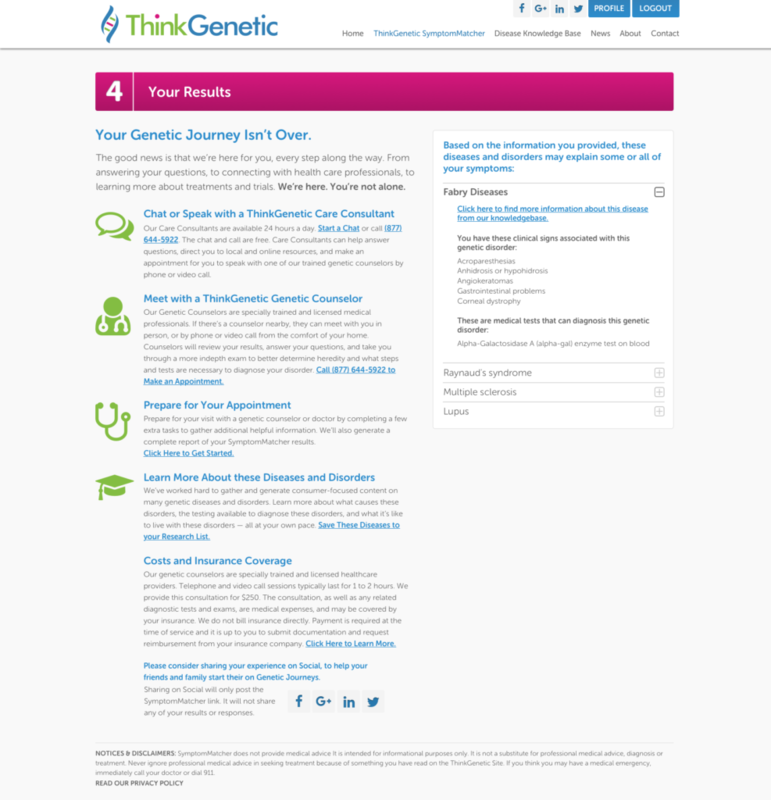 Starting in May you can view the changes yourself by visiting thinkgenetic.com. 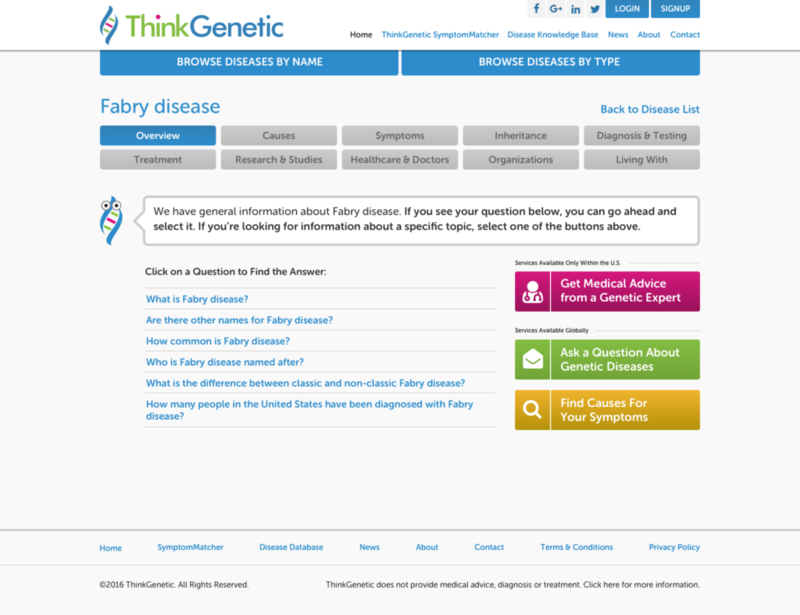 About ThinkGenetic, Inc. – ThinkGenetic locates individuals with diagnosed and undiagnosed genetic diseases using artificial intelligence (AI) solutions. Co-founded by a patient advocate and a genetic counselor, we know firsthand that people can wait a long time to receive a genetic diagnosis. People also have the power within themselves to shorten this diagnostic odyssey. ThinkGenetic helps individuals harness this power by offering trustworthy information to guide them to the help they need, faster. Undiagnosed individuals, patients, and families are our focus and this sets us apart. To learn more, visit www.ThinkGenetic.com and follow @ThinkGenetic. About Genome Medical – Genome Medical is a nationwide genomics medical practice bringing genetics to everyday life. Our clinical team provides expert genetic health care for individuals and their families to improve health and well-being. We also help healthcare providers, employers and patients navigate the rapidly expanding field of genetics and use test results to understand the risk for disease, accelerate disease diagnosis, make informed treatment decisions and lower the cost of care. We are shepherding in a new era of precision medicine by creating easy, efficient access to top genetic experts. Genome Medical is headquartered in San Francisco. To learn more, visit www.genomemedical.com and follow @GenomeMed.